We've vetted hundreds of card offers and analyzed thousands of data points to bring you a shortlist of our top rewards cards, some of which are from our partners. This card has one of the most generous relative sign up bonuses available. Unlock $200 at only $1,000 in spending. Other benefits like a high cash back rate, 0% intro APR offer, and mobile phone insurance make this a coveted, and flexible card for everyday use. Widely considered one of the best travel cards today. With a massive sign-up bonus, premium travel rewards, and extensive redemption portal, it is easy to see why many people choose this card. A great card for busy travelers with high budgets who value flexible mile redemptions. An unlimited 2x miles per $1 spent, large sign-up bonus, TSA Pre✓® credit, and 10x miles per $1 on hotels.com make this card a great choice to rack up rewards fast if you spend a lot. The intro bonus offer is among the best with a low spending hurdle. The cash back versatility makes it even more enticing. You can earn 6% back at U.S. supermarkets ($6,000 annual spending cap, 1% thereafter) and 3% on gas, plus the card includes a 0% intro APR for 12 months for both purchases and balance transfers. The $150 cash back bonus after spending just $1,000 in the first three months makes this card a stand out for no annual fee. It's unlimited 1.5% flat cash-back rate is also competitive if you don't want to keep track of tiered rewards rates. 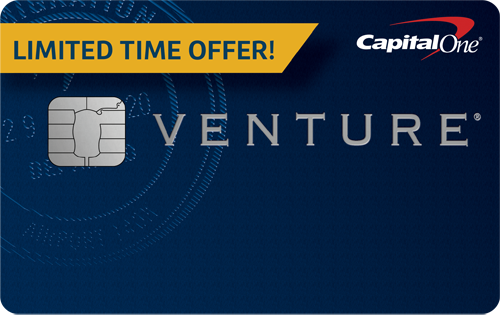 Value in spades with this $0 annual-fee, cash-back credit card, Chase Freedom®. We appreciate Chase Freedom® for its money-savvy features, including a 0% intro APR offer. The big intro bonus offer now leads this no-annual-fee pack for travel. Unlimited 1.5 points per $1 make it even more compelling. 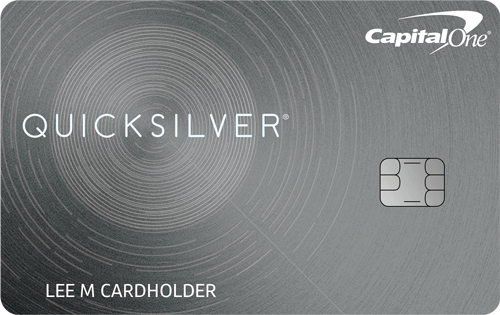 Capital One® Quicksilver® Cash Rewards Credit Card goes toe-to-toe with the best 1.5% cash back cards, and even offers a bonus of $150 when spending $500 within three months of account opening. But where the card really shines is that cash rewards can be redeemed at anytime for any amount. With each passing year, it seems as though credit card rewards only get better. The best credit card rewards programs now offer extremely lucrative sign-up bonuses for new cardholders, plus high rewards yields on every dollar charged to the card. 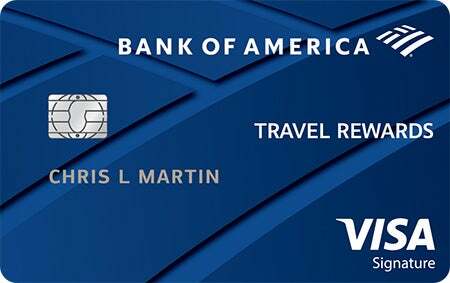 The most rewarding card on our list offers as much as $750 in travel value in the form of a new cardholder bonus, and a rewards yield as high as 4.5% in travel value for spending on restaurants and travel purchases, which showcases the value offered by the top rewards cards. Simple rewards programs -- In our experience, complexity often works in the favor of the card issuer rather than the cardholder. We like programs with clear rules for earning and redeeming rewards that don’t make you jump through hoops to get the most value. High reward yields -- It should go without saying that a high rewards yield per $1 of spending is one of the most important criteria for making our list of the best cards. We like cards that offer a high rewards rate on categories that make up a majority of a cardholder’s monthly budget. Low minimum redemptions -- Rewards aren’t worth anything until they can be redeemed. We prefer cards that have a no- or low-minimum redemption threshold. We think cards that have redemption minimums of $25 or less are best since cardholders will be able to redeem their rewards frequently. Annual fees that make sense -- Not all of the cards on this list carry annual fees, but we wanted to make sure that when they do, it’s because they offer something more (higher rewards yields or other perks) that can help make up for the cost. Sign-up bonus potential -- Many of our favorite cards offer a sign-up bonus valued from $150 up to $750. While they aren’t necessary to make the cut, we like offers that give cardholders an opportunity to get a jumpstart to earning rewards with new cardholder bonuses. We’re always looking for the best deals because we use them personally. The Ascent team has decades of experience using credit cards to take advantage of big sign-up bonuses and high rewards rates on our spending. Starting with a list of hundreds of cards, we boiled down the list to only the very best rewards cards. But the proof is really in the numbers -- the cards on this list offer thousands of dollars in sign-up bonus value on top of high on-going rewards rates per $1 spent. Credit card rewards are benefits you receive for every $1 you charge to a credit card. These programs date back all the way to the 1980s, when card companies started offering cash back and airline miles for making purchases on credit. Later, other companies rolled out credit cards that earned free long-distance minutes, or cash towards the purchase of an automobile. Cardholders can expect to earn at least 1% in cash back or travel value on every purchase, and the best cards can offer rewards that rise as high as 5% on certain types of spending. Travel cards also boast features like free checked bags on flights, extended checkouts at hotels, and other perks that would have been unthinkable when the programs first began. What are the different types of credit card rewards? Credit card rewards generally come in two types: Some cards offer cash back, while others offer travel rewards that can be redeemed for flights, hotels, rental cars, and other travel-related purchases. These rewards programs are simple to use, which is why they remain the most popular type of rewards cards today. Cash-back credit cards offer a certain percentage of cash back, typically paying an amount ranging from 1% to 2% of your spending. Some cards also offer bonuses for spending in certain categories, like gas or grocery purchases, where each $1 of spend can earn up to 5% back. These cards are becoming more popular for cardholders who have good or excellent credit scores. Travel credit cards typically earn one to two “miles” or “points” for every $1 of spending, with each point or mile commonly redeemable for $0.01 of travel value. Some travel cards also offer category bonuses for spending on travel or swiping your card to pay a bar tab or restaurant bill. The best credit cards rewards are often found on travel cards, but because many carry annual fees, and rewards are meant for travel redemptions only, they aren’t necessarily the best cards for everyone. Travel rewards come in two flavors. Some cards offer a travel portal through which points or miles you earn can be redeemed for travel. Others offer statement credit redemptions, which allow you to redeem rewards against travel purchases you make. Both types of travel rewards have their unique pros and cons. 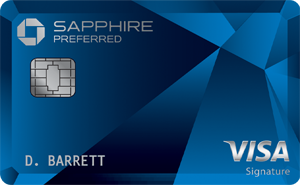 Travel portal rewards cards -- Chase Sapphire Preferred® and Chase Sapphire Reserve® are two of our favorite cards for travel portal rewards. These cards offer an extra perk in that the points you earn can be transferred to travel partners, making them more valuable for people who want to redeem points through hotel and airline loyalty programs. Statement credit rewards cards -- These rewards cards are excellent for people who like to shop around for travel deals and want flexibility in how they book travel purchases. Many people prefer statement credit rewards cards because the rewards can be redeemed any time you can make a travel purchase, and aren’t subject to limitations like blackout dates. The no-annual-fee Bank of America® Travel Rewards credit card and its sister card, Bank of America® Premium Rewards® credit card are examples of statement credit redemption travel cards. People who are good at bargain shopping for travel deals may come out ahead with statement credit rewards cards. That’s because the rewards you earn can be redeemed for statement credits against a travel purchase made through an online travel agency (Priceline or Expedia, for example), as well as purchases made directly with a hotel or airline. If you’re the type of person who uses discounts and coupon codes and search high and low for a bargain, statement credit travel cards may offer more value to you. 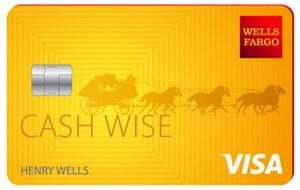 Unlimited, flat cash back on all spending -- These cards usually offer rewards equal to 1% to 2% on every $1 you spend. Since all types of spending earn at the same rate, you won’t have to bother thinking about which card to use for certain purchases to get the most value. These cards are great for people who simply want to earn a reasonable rewards rate on all types of spending, and don’t want to bother carrying several cards in their wallets. Category bonus cards -- These cards offer large bonuses for spending in certain categories. Most programs use a rotating bonus category program, wherein certain types of spending (department stores, home improvement stores, gas purchases, restaurants, etc.) earn at higher rates for three months out of the year. The downside with these cards is that the base rewards rate is usually pretty low (1% or less). If you spend heavily in a certain category, though, these cards can offer a lot of bonus value. To illustrate the utility of rotating category bonuses, we’ll use one of our favorite cards, Discover it® Cash Back, as an example. One thing we like about this card is that it offers visibility into its rotating categories by publishing its rotating rewards categories before they take effect. Its bonus categories in 2018 are shown in the table below. Notice how Discover it® Cash Back offers bonus rewards in categories that are seasonally relevant. Its fourth-quarter bonus category can be especially lucrative during the holiday shopping season in which cardholders can earn up to $75 in bonus cash back by maxing out the 5% bonus on up to $1,500 of spending. New cardholders really haul in the rewards with this particular card. That’s because Discover it® Cash Back matches all the cashback earned in the first year. Therefore, if you max out all four bonus categories and earn $300 in rewards in the first year, you’ll earn $300 in matching rewards after the 12th consecutive billing period of having the card. We think of it as offering a 10% rewards yield on bonus categories in the first year, which makes it a top choice in the rotating bonus category. Category cards are most valuable when paired with another card that offers a high rewards yield on all types of spending. Using an unlimited 1.5% cash back card in tandem with a card that offers 5% or more in rewards on bonus categories can help you maximize the rewards yield on every swipe. Families who have large grocery and gasoline budgets may be best suited for cards that offer bonus cash back on groceries and gasoline throughout the year. 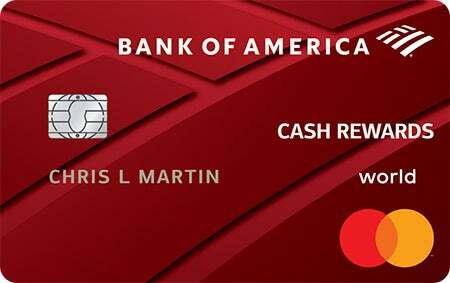 One of our favorite cards, Bank of America® Cash Rewards credit card provides 3% cash back on a category of your choice, 2% on grocery stores and wholesale clubs, and 1% on all other types of spending. The category bonuses are limited to the first $2,500 in combined spending per quarter, which is one of the highest caps for the category bonuses. Those who are a Preferred Rewards client with Bank of America can earn bonuses that rise as high as 75%, thus bringing its effective rewards rates to 5.75% on gas, 3.5% on groceries and wholesale clubs, and 1.75% on all other kinds of spending. 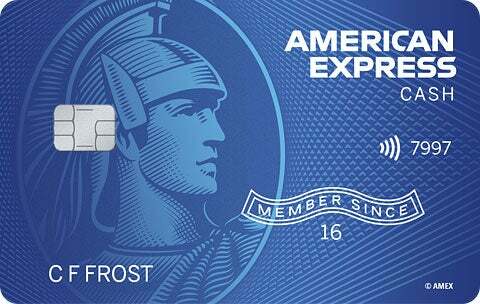 If you meet the requirements for being a Preferred Rewards customer, this card could easily be the best rewards credit card for you. If you have lower spending needs or use multiple credit cards, you’re likely a good candidate for cards that do not have an annual fee. Though the credit cards with the best rewards typically have annual fees, it rarely makes sense to pay an annual fee unless you can put tens of thousands of dollars of spending on one card each year. Most cash back credit cards do not have an annual fee, whereas many travel cards do. Note that only one no-annual-fee travel card makes our list of the best rewards cards. One of the best things about using no-annual-fee credit cards is that you don’t limit yourself to any one card, nor will you have to choose between keeping a card open or closing it in order to save on an annual fee. We think it’s a benefit to have credit cards that you can keep open for life. That’s because as much as 15% of your credit score is determined by the length of your credit history. For this reason, we think it’s smart to have at least one no-annual-fee credit card that you keep open for the long haul, helping you build more credit history with each passing month. Which credit card has the best rewards program? Though it may sound like a cop out, there isn’t any one card that offers a rewards program that is obviously better for all people than any other credit card. We’d encourage you to compare credit card rewards based on the types of spending that make up the majority of your budget, since category bonus cards may be a better option for people who spend heavily in one particular corner of their monthly budget. Don’t redeem travel rewards for cash -- one of the most important decisions to make is whether you want cash back or travel rewards. Travel rewards, though lucrative, usually convert into a lesser amount of cash than travel. Unless you know you will have travel expenses, a cash back card is usually a better choice. It doesn’t make sense to carry balances -- while spending more means earning more rewards, it doesn’t make sense to spend more money, or carry balances, in order to earn more in rewards. Just one or two months of carrying a balance can result in interest charges that vastly exceed the rewards you earn on your card. If you have credit card debt, a balance transfer card would be a smarter choice than a rewards card. Be smart about annual fees -- We think it only makes sense to pay an annual fee when it pays for itself. With so many no-annual-fee credit cards offering rewards yields of 1.5% in cash or travel, we think it’s smart to use this as the baseline to compare to an annual fee card. If you follow the advice above, you’ll be well on your way to earning high rewards on all of your spending, whether it’s in the form of cash back or travel value. There are plenty of ways to collect extra points, miles, and cash back without spending any extra money. Follow these simple credit card tricks, and you could be adding a zero or two to your points balance in no time. Maybe your credit card offers extra points on travel spending, and the issuer has another card that offers extra points on groceries and gas. Consider getting a second card and switching them up depending on what you’re purchasing in order to maximize rewards. If you’ve got a few thousand points sitting around in a rewards account you no longer use, you might be able to transfer those points to the rewards account you’re currently using. Check your rewards program’s point transfer policies and partnerships. Planning on renovating the kitchen or adding a spare bedroom? Put those expenses on your rewards credit card, as long as you aren’t charged a fee to do so. This one requires a judgment call on your part. Adding someone as an authorized user makes you responsible for any debt they accumulate and fail to repay. It also means that any mistakes you make, such as a late payment, will show up on their credit report, affecting their credit score. However, if you’re sure you can trust each other, many credit card offers give you extra bonus points -- usually around 5,000 -- for adding an authorized user who makes a purchase in the first few months. Plus, if that authorized user adds additional expenses to your card, the points they accumulate are added to your account. Services like RadPad and Plastiq let you pay your rent with a credit card. Your landlord doesn’t even have to sign up; these websites send a rent check to your landlord on your behalf. Unless you find a promotion, it will cost you a 2%-3% transaction fee. This means you’re paying $0.02 to $0.03 per $1, so you need to be getting back more than 2%-3% in rewards to profit. If you’re trying to hit a minimum spend requirement to get the sign-up bonus on a credit card offer, the 2%-3% fee is almost always worth it. If you’re covering tuition for your kid or yourself, you might as well get a reward for all the money you’re spending. Most colleges now allow you to pay tuition with a credit card, although many charge a fee. If you’re lucky and the college you pay doesn’t charge a fee for credit card transactions, charge away. Just make sure you have the funds to pay off your credit card immediately. As of 2018, the fee for paying any taxes you owe the federal government is 1.87% to 2%. That means this option is only worth it if you’re getting more than 2% back, which can be in the form of high value points or a good cash-back credit card. If you’re trying to meet a minimum spend requirement for a sign-up bonus, this option has lower fees than paying your rent online. Did you recently experience an inconvenience with the airline or hotel chain you’re trying to earn points for? Whether your flight was seriously delayed or your room was overbooked, complaining to the company will often result in them depositing a generous amount of miles or points into your account in exchange for your forgiveness. Buying gift cards for places you know you’ll shop at is an effective way to hit a minimum spend requirement. This can also be a good way to get extra cash back. For example, if your credit card offers 5% cash back on groceries, buying restaurant or department stores gift cards at your local grocery store may let you get 5% cash back on purchases that aren’t part of your bonus category. Some credit cards only allow you to get a sign-up bonus once in a lifetime. However, other offers simply state that you cannot earn the sign-up bonus if you’ve already earned it once within the past 24 months. So, if you’ve had your rewards credit card for more than 2 years, you might be eligible to get the sign-up bonus again by closing it and re-applying. Just read the terms of the sign-up bonus carefully to make sure that you qualify. Accumulating points quickly is only half of the process. In order to get the most out of your rewards, you have to redeem them wisely as well. To choose what you want to redeem your points for, calculate how much you’d typically spend on your award redemption and divide that by the amount of points it costs -- that’s the value of each point, and you should aim for at least $0.015. Redeeming points for products on a marketplace or cash typically offer the lowest value, while redeeming them for travel rewards like flights and hotels tend to offer higher value. Remember to weigh the costs of these methods with your potential rewards. After all, it’s never worth it to spend more than you earn. It’s also not worth charging more than you can afford to multiply your rewards, as credit card interest rates will surely cancel out any benefit. Whatever you do to earn points faster, don’t let it get you into debt.